My last venture into the world of book based movies was The Three Musketeers. I liked it and ever since I've watched the film, I've been on a quest to read all books made into movies. 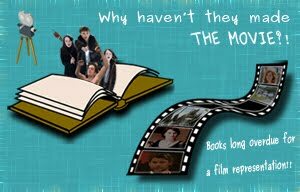 But what I find much more important are those books which aren't turned into movies: classics (in my opinion) and great books that have been looked over for something more 'sellable'. One such looked over author is Georgette Heyer. 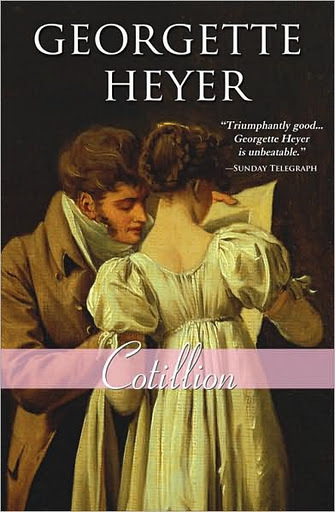 Her book Cotillion is one of my favorite romance books (Heyer excelled in Regency Romance, a sub-genre adapted from Jane Austen). I decided to re-read it so that I could see how I would cast the main characters! 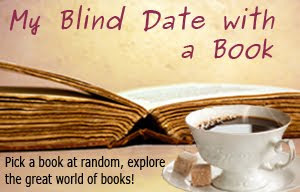 Go here for my review on the book. Well, first and foremost, the characters in this novel while not ugly, aren't spectacularly beautiful or dashing beyond measure! Kitty, the heroine of the piece, is a pretty brunette who comes into her beauty when she comes into contact with fashion in London. Her natural beauty shines through, embellished by her simplicity and innocence. Emma Stone is someone that comes to mind as somewhat Kitty-like! Freddy is not at all the tall, broad shouldered sportsman featured in most Georgette Heyer novels. He is slim, average height, elegant and amiable looking..... But although he isn't the dashing hero we're used to, I find him charming and just perfect for Kitty. What would you all think of Shia LeBeouf as Freddy? I'm not too sure, but it has to be someone with a slightly innocent 'air'! Thinking up a good cast for my favorite Heyer novel is harder than I thought! Laying that aside, the other important character, Jack, is the type that can be easily cast. Just choose one of the many manly hunks from Hollywood and Voila! you have Jack. Only remember, he has to have a ruthless and arrogant look about him or it wouldn't be JACK. All in all I think the cast is not as important to the success of this fiictitious movie as is the direction. The characters must be as they are in the novel or the humor and subtle beauty would be lost. For example, Kitty can be a blonde or a brunette, but if she doesn't have an innocence coupled with a certain shrewdness, her role would fall flat. Sometimes I think I'm the only one who can direct any book based movie well!! :P........ (Come on. You know it's true).